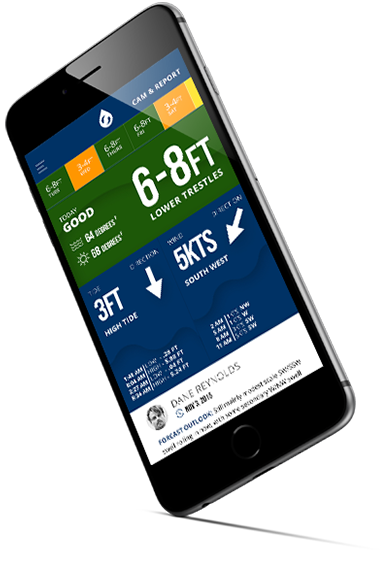 Surfline offers the latest reports and live-feed cameras of local surf locations in your area. They have cameras set up worldwide that you can access through the app to check how the surf conditions are before you head down to the beach. I use this app often to check out spots I want to surf at and have felt that their user experience could use some work. There is a lot of information packed into this app and I have come up with how I would like to see that information displayed.